Hudson Valley Contracting & DKI provides professional carpet cleaning services for residential customers. We use the highest quality cleaning equipment and proven procedures that guarantee healthy, fresh, long lasting results. Our team specializes in high performance carpet cleaning and always approaches a carpet cleaning task with the customer in mind. Our goal is to enhance your living environment, protect your investment, and give you absolute peace of mind. Contact our expert team to get a carpet cleaning quote today! Professional carpet cleaning and maintenance of your home’s carpet not only preserves the life and beauty of your carpet, but provides a healthier living environment as well. Your carpet is essentially a large filter for your home and every year several pounds of soil, dust and other allergens can accumulate within your carpet. Over time, your carpet becomes dingy and dull and the allergens become airborne, deteriorating the indoor air quality of your home. 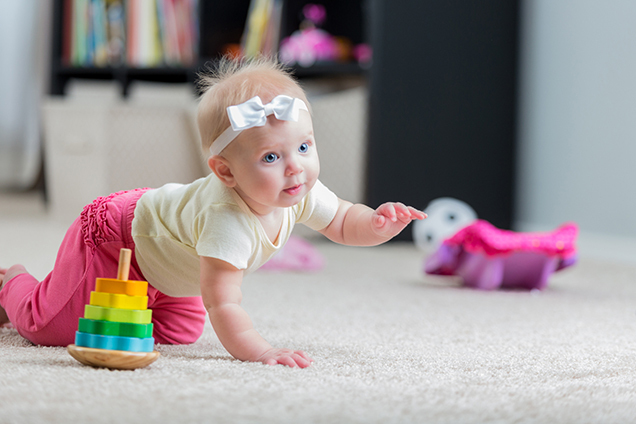 Not only does removing the soil, dust, and allergens trapped in your carpet improves the quality of the air you breathe, but it also protects your carpet from damage. Dirt and other contaminants are abrasive and can cause premature wear and tear to your carpets if they are not properly maintained. The sharp edges of these small particles can cut down the carpet fibers as you and your loved ones walk across your carpets. Regular vacuuming can help remove surface dirt and particles, but it’s not enough to prevent your carpets from becoming dull, dingy, and wearing down sooner than they should from deep embedded particles. The best way to prolong the life of your carpets is to contact a professional carpet cleaning company to perform a deep, thorough cleaning 1-2 times a year.